Sgt. James C. McIllwain, son of Mimmie McIllwain, graduated from Sulphur Springs, Texas High School. Entered Marines in Oct., 1940, trained in San Diego, Cal. 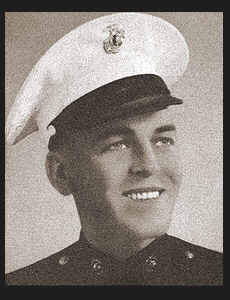 ; served in S. Pacific; was wounded in action in March, 1945 in Iwo Jima; was medically discharged. Awarded Bronze Star, the Purple Heart.